There’s a consequence to this awakening. 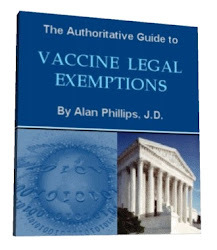 As more people become informed and pull away from the clutches of fear, anxiety and control that accompanies vaccination, more public health and government policy will enforce their position through aggression and threats. That alone is a clear indication of which stance holds true merit and which one doesn’t. Bullies don’t like being confronted by the truth, but the truth doesn’t care. That’s why the anti-vaccine position roots itself largely from a non-violent, passive and informed approach. They are mostly indifferent about vaccinators injecting themselves and their children and feel if they must continue the practice, they have the right to their opinion. On the other hand, most in the pro-vaccination camp are very angry, antagonistic and don’t believe anybody who disagrees with them has that right. Anti-vaccine proponents are a risk to us all and they must be imprisoned or exiled. The reason is simple. The pharmaceutical companies no longer dominate the spectrum of knowledge on vaccination. The gig is up. People are no longer fooled by the fraudulent studies funded by drug companies, thehidden CDC documents now exposed, the fabrications and plots by government on flu vaccines, and the lack of safety studies in almost any area of vaccination. Big Pharma now has statistical verification that vaccine exemptions rates are at all time highs while vaccine uptake is at all-time lows. They have the data and they’re desperately trying to reverse the trend. 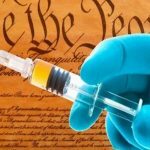 In California, a group of state legislators announced last week that they would sponsor a bill to eliminate the state’s “personal belief” exemption, which includes the religious exemption, from the state’s vaccination laws. In March 2012, dangerous new strains of whooping cough bacteria werereported in Australia. Researchers studying the strains said the vaccine itself was responsible. The reason for this is because, while whooping cough is primarily attributed to Bordetella pertussis infection, it is also caused by another closely related pathogen called B. parapertussis, which the vaccine does NOT protect against. Two years earlier, scientists at Penn State had already reported that the pertussis vaccine significantly enhanced the colonization of B. parapertussis, thereby promoting vaccine-resistant whooping cough outbreaks. … [V]accination led to a 40-fold enhancement of B. parapertussis colonization in the lungs of mice. Though the mechanism behind this increased colonization was not specifically elucidated, it is speculated to involve specific immune responses skewed or dampened by the acellular vaccine, including cytokine and antibody production during infection. Despite this vaccine being hugely effective against B. pertussis, which was once the primary childhood killer, these data suggest that the vaccine may be contributing to the observed rise in whooping cough incidence over the last decade by promoting B. parapertussis infection. Many doctors, nurses and other health professionals are coming around and grasping the gravity of how vaccines are damaging our bodies.Turnover of nurses (RNs) are now at record highs, with more than one-third leaving their jobs within the first two years and trust in health authorities and vaccination is rapidly diminishing. More front-line workers, medical staff, nurses and hospital employees aresaying no to vaccines more than ever. For one of the most unscientific vaccines in the history of vaccination,the HPV vaccine uptake is now headed below 50% for the first time since it’s introduction in 2006. Dave Mihalovic is a Naturopathic Doctor who specializes in vaccine research, cancer prevention and a natural approach to treatment. He writes for Prevent Disease, where this article first appeared.